US Housing: How Long Can Shadow Inventory Stay Hidden? 5. Demographics and psychology toward housing would impact buyers. Baby boomers are looking to downsize and the younger generation has only known falling prices and falling interest rates. Homes and monthly mortgage payments are "always lower tomorrow" to this younger group. The was the exact opposite of the psychology on the way up. Argument number 5 is already in effect as the government and Fed have the least ability to temporarily and artificially change major demographic changes. Numbers 1 through 4 have so far been postponed due to a staggering amount of continued and increased artificial government intervention in the market. 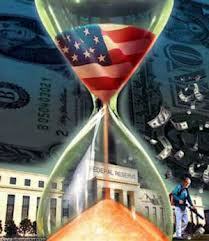 Up to this point the US has incurred no speed bumps toward larger and more reckless government spending. The bond market has done the opposite and rewarded this behavior in the short term, like betting on a NASCAR driver who continues to drink beer after beer before a major NASCAR race. The bond market today assumes that things can only get better with more debt and less income. If the bond market does not punish the reckless spenders then no changes will be implemented. As I have stated here over and over again and what is probably the most important idea you can take away from this website: change will only come with crisis. This means that until the crisis arrives, the government will continue to fund 100% of the new subprime loans being created. Many of these loans are funded with 3% (or less) down with an interest rate somewhere around 3% (and falling). I could write a book alone on how large of a disaster this will be, but this is only one fraction of the problem. What is keeping rates this low (and most likely will soon be sending them lower) is the Federal Reserve's new QE-to-Infinity program directed exclusively at mortgage bond purchases. Lenders have no risk in making loans because they can immediately get them insured or sell them directly to the government. The government has no risk in insuring or purchasing loans because they can now offload them onto the Federal Reserve's balance sheet. What is the difference between loans made today through the government and loans made during the previous subprime bubble? 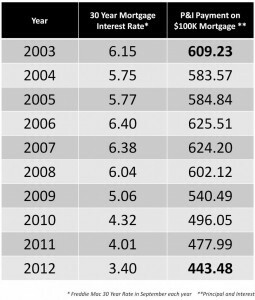 Interest rates are now lower and in many cases 50% less than during the 2006 - 2007 years. In other words, the federal government and the Federal Reserve are buying mortgage loans at a price 100% higher than those bought during the peak of the subprime crisis. I have discussed this portion of the argument against housing in length. It can go on for much longer creating more damage for the government's balance sheet and hurting buyers even more as they get closer and closer to being the final home purchasers at the end of this ponzi scheme. What I want to talk about briefly is bullet point number one because this one has truly fascinated me. When the robosigning scandal hit in October 2010 the number of properties entering foreclosure fell off a cliff as investors did not know who actually owned the mortgages (meaning they could not foreclose). The scandal took about 15 months to resolve and the big banks wrote a check for a settlement at the beginning of 2012. It was widely assumed that not only would the foreclosures pick up significantly as banks were once again able to move forward, but there would be a surge above and beyond the normal level to make up for the lack of foreclosures over the previous 15 months. The exact opposite happened which can be seen in the amazing chart below provided by Zero Hedge. 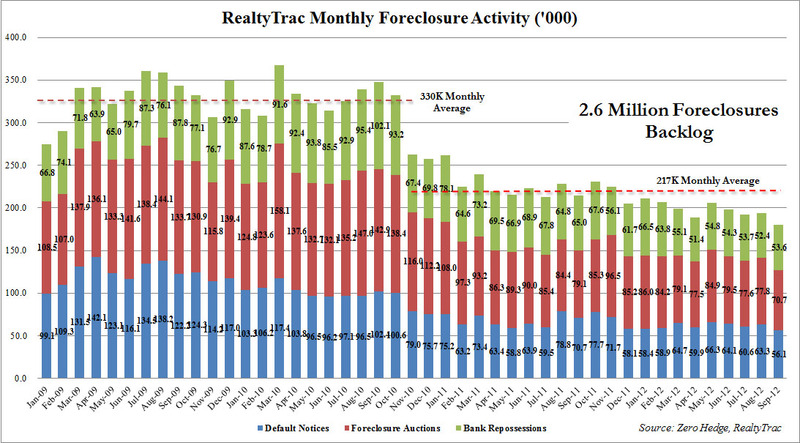 You can see the drop off in October 2010, but the rate of new foreclosures never rose back to previous levels and is still falling today. Many have argued that this has been due to a sharp increase in short sales. This is when a bank allows a buyer to sell their home below the mortgage level in order to avoid the costs of foreclosures. It essentially skips the foreclosure process meaning it would not be detected in these readings. This is true, many homes have begun to move through this process. The exact number is unknown. 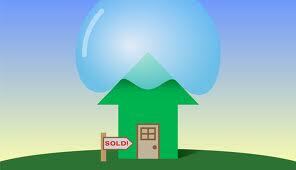 If a home is sold through a short sale it is sold at a significant discount. It only seems logical that if this number of homes were being sold through this massive discount program (enough to make up for the huge drop off in the foreclosure pipeline) it would have a tremendously negative impact on home prices nation wide. But we have seen the exact opposite in home prices. They have actually begun to rise in many areas over the last six months. It has not felt like a short sale environment, it has felt like a bidding war environment due to the limited supply of inventory available on the market. The second argument for this drop off in the number of foreclosures is the number of successful modifications that banks have worked through with borrowers on loans. This notion is laughable. Every statistic shows that only a small fraction of those that receive a modification do not end up back in default. This leaves me to wonder. After pulling homes off the market for sale during the robosigning scandal, banks have seen the limited supply of available homes create an artificially small amount of homes available to purchase. This, alongside unlimited government loans and free falling mortgage rates, has created a new utopia in the housing market. Is it possible the banks wanted to stand back and let this momentum and euphoria build? 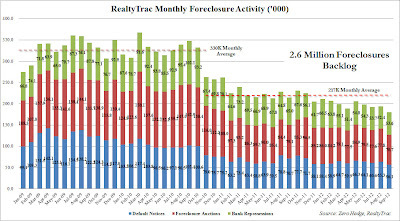 While we cannot see how many homes continue to be held off the market in the shadows we can see that the number of days it takes a home to enter foreclosure continues to rise year after year and hit a record once again this past month. This shows that if the banks ever do decide to put a home into foreclosure they are waiting longer and longer before they do it. Next month I'll be moving into a beautiful home in a nice neighborhood in Charlotte. I will be renting. As the market continues to become more positive around housing I will soon once again become one of "those people." The renter class of society. Just imagine if I told the neighbors about the precious metals in the basement. We would certainly never be invited over for card games.